When dead skin cells accumulate on the scalp and in the hair follicles, they form and itchy, scaly layer that flakes off, resulting in dandruff. This accumulation is caused by a mild form of seborrheic dermatitis triggered by a fungus called Malassezia or Pityrosporum. Other causes for dandruff include frequent extreme changes in climate, stress, hair styling products, pollution, chronic constipation, hormonal fluctuations, and poor hygiene. Want to get rid of dandruff once and for all? Don’t spend money on expensive shampoos filled with chemicals that cause unwanted side effects. Instead, try olive oil. For centuries, it’s been one of the most effective remedies for a range of health and beauty issues, including dandruff. You’re about to learn how to use it and why it works. Let’s get started! Does Olive Oil Work for Dandruff? Olive oil moisturizes the scalp and hair, preventing dryness and flaking. It contains vitamins A, E, and K and anti-oxidants that repair damaged hair. Olive oil clarifies hair follicles, leaving the scalp healthy. Olive oil scalp massages stimulate blood flow, waking up the hair follicles and promoting hair growth. Olive oil protects hair follicles and roots, strengthening each strand to prevent breakage. The polyphenols in olive oil cleanse hair more deeply than most shampoos. Olive oil restores the scalp’s oil balance so hair is never greasy or dry. 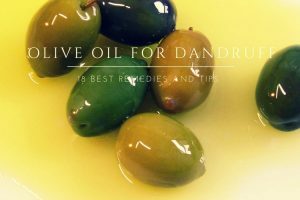 How to Use Olive Oil to Treat Dandruff? Olive oil can be used alone and in combination with other natural ingredients that keep the scalp and hair healthy and flake free. Always use organic extra virgin olive oil for the remedies listed below. Warm olive oil massage prevents the dandruff. Moisturizes the scalp and promotes healthy hair growth. Warm enough of extra virgin olive oil over indirect heat. Use fingertips to massage into scalp, rubbing in circular motions for 5 minutes. Wrap hair in a towel and leave on 30 minutes or overnight. Tea tree oil moisturizes hair while fighting the fungus that causes dandruff. Mix 1 teaspoon of extra virgin olive oil with 10 drops of tea tree oil. Use fingertips to massage into scalp, rubbing in circular motions. Leave on 30 – 40 minutes, then rinse with water and mild shampoo. Note 1: You can use 15 drops of lavender tea tree essential oil in 2 ounce of extra virgin olive oil. Note 2: You can use 1 capful of neem oil and 1 tablespoon of olive oil and apply this on the scalp and wash it off thoroughly after 20 – 25 minutes to prevent dandruff. The pectin in aloe vera stimulates the breakdown of dead skin cells and the generation of new ones. Curd soothes itching and inflammation. Mix 3 teaspoons of fresh aloe vera gel, ½ cup of curd, and 3 teaspoons of extra virgin olive oil. Leave on 25 – 30 minutes, rinse with water, and wash with mild shampoo. Also Read: 16 Aloe Vera Methods To Get Rid From Dandruff. Ginger kills the fungus that causes dandruff. The citric acid in lemon juice clarifies hair follicles and balances the scalp’s pH level. Peel and grind ginger root. Mix equal quantities of ginger juice, fresh lemon juice, and extra virgin olive oil. Massage into scalp, rubbing in circular motions. Leave on 30 – 40 minutes, then rinse with water and wash with antidandruff shampoo. Mix 1 part of ginger oil in 2 parts of olive oil. Leave on overnight and wash it off in next morning. Rinse with water and wash with mild shampoo. Mix 1 tablespoon each of grated ginger and warm olive oil. Massage into scalp and leave for 10 minues. Rinse with water mild shampoo. The enzymes and the acetic and mallic acids in apple cider vinegar kill bacteria and fungus while balancing the scalp’s pH level. Mix 2 tablespoons each of extra virgin olive oil and apple cider vinegar. Massage into scalp, rubbing in circular motions, and leave on 20 – 30 minutes. Castor is rich in vitamin E, omega–6 fatty acids, and amino acids that kill fungus and support a healthy scalp. Mix 1 tablespoon each of castor oil and olive oil and warm slightly. Massage into scalp, wrap hair in warm towel, and leave on 15 – 20 minutes. Wash hair with anti – dandruff shampoo. For added benefit, include 1 tablespoon of fresh lemon juice. Castor oil can be replaced by organic almond oil. The selenium and zinc in black pepper fight dandruff and promote a healthy scalp. Mix 1 teaspoon of black pepper and 3 teaspoons of extra virgin olive oil. Leave on one hour or overnight. Wash hair with mild shampoo. Soak 2 teaspoons fenugreek seeds in water overnight. In the morning, strain out water and mash seeds. Mix with ½ cup of warm extra virgin olive oil. Apply to scalp and leave on 2 – 3 hours. Honey has antiviral and anti-inflammatory properties and it moisturizes the scalp and hair. Warm ½ cup of extra virgin olive and mix with 2 teaspoons of raw honey. Massage gently into scalp and leave on 10 – 15 minutes. Wash with herbal shampoo and wrap in warm towel to hold the moisturizer. Mix 2 tablespoons each of honey and olive oil in 1 egg yolk. Apply to the scalp and leave for 30 minutes. Rinse with lukewarm water and mild shampoo. Mix 2 tablespoons sugar into 1 cup water until dissolved. Mix equal quantities extra virgin olive oil and almond oil. Apply oils to scalp, massaging in circular motions. Apply sugar solution over oil and comb through hair. Rinse with water and mild shampoo. Mix few drops of olive oil in 4 teaspoons of sugar. Stir well to make a paste. Apply on the scalp and massage it gently. Wash it off after 10 – 15 minutes with shampoo. Coconut oil fights fungus and moisturizes the hair and scalp. Yogurt soothes irritation and itching. Mix 2 teaspoons each of coconut oil, extra virgin olive oil, and raw honey with 3 teaspoons plain Greek yogurt. Apply mixture to scalp, massaging gently for 10 minutes. Leave on 30 – 40 minutes, then wash with mild shampoo. Mix coconut oil and olive oil. Apply to hair from root to tip and cover with shower cap. Leave on for 2 hours and rinse it with mild herbal shampoo. Also Read: How to Get Rid of Dandruff Using Coconut Oil? Avocados contain vitamins, minerals, and natural oils that nourish the scalp and hair. In a blender, mix 1 ripe avocado, 2 tablespoons of extra virgin olive oil, and 1 teaspoon of raw honey until smooth. Apply to scalp, massaging in circular motions, and leave on 30 – 35 minutes. Wash hair with warm water and mild shampoo. Basil has antiseptic and anti-bacterial properties. Crush, grind, or blend fresh basil leaves and strain them through cheesecloth to extract juice. Mix 1 teaspoon of basil juice with ½ teaspoon of extra virgin olive oil. Massage into scalp and leave on overnight. Wash hair with water and mild shampoo. The sulfur, proteins, and lecithin in eggs moisturize the scalp, strengthen hair, and kill the fungus that causes dandruff. Whisk together 2 eggs and 4 tablespoons of extra virgin olive oil. Massage into scalp, rubbing in circular motions for 10 minutes. Wrap hair in towel and leave on 30 – 40 minutes. Rinse with warm water and shampoo as normal. Mix 1 tablespoon each of vinegar and olive oil and 1 egg. Apply this on the hair roots and strands with brush. Leave for 45 minutes to 2 hours. Rinse with shampoo and water. Mix 1 egg yolk, 1 teaspoon of baking soda and 1 tablespoon of warm olive oil. Wash it thoroughly with warm water after 35 minutes. Mix 2 tablespoons moong dal powder, 4 tablespoons curd, and 1 tablespoon extra virgin olive oil. Apply to scalp, massaging in circular motions. Leave on 15 – 20 minutes, rinse with cool water, and towel dry. Turmeric is antibacterial and anti-inflammatory, and it contains anti-oxidants that strengthen hair. Mix 1 teaspoon turmeric powder with 2 tablespoons extra virgin olive oil. Leave on 30 – 45 minutes, then shampoo as normal. Mix 1 teaspoon each of fresh lemon or lime juice and olive oil. Apply on the scalp and massage gently for few minutes to spread thoroughly on the scalp. Rinse your hair with water followed by shampoo in the next morning. Also Read: 25 Best Lemon Remedies for Dandruff. One of the simplest ways to use olive oil to treat dandruff is to use an olive oil shampoo. These can be found in some stores and ordered online. Find an organic shampoo made without chemicals, pesticides, or preservatives. Trusted brands include Palmer’s, ORS, and Regis Designline. Does Olive Oil Cause Dandruff? Some claim that olive oil actually causes dandruff. It does contain saturated fats, which contribute to inflammation and flakiness, but it only exacerbates the problem when used in excess. For best results, follow the advice below when treating dandruff with olive oil. Avoid commercial shampoos, conditioners, and styling products. Always use organic extra virgin olive oil. Olive oil can also be used to treat dandruff in babies. Olive oil helps to treat cradle cap, a form of dandruff we observe in new born babies. Gently massage the olive oil on the scalp either with fingers or soft brush. Leave on for 15 minutes and wash it with baby shampoo followed with warm water. Apply regularly. Mix crushed rosemary leaves in olive oil. Apply to the scalp and wash it after 15 – 20 minutes to prevent dandruff. Eat a healthy, well-balanced diet, drink plenty of water, and get plenty of sleep. Before starting regular olive oil treatments, do a patch test to find out if you’re allergic to it. Consult a doctor before starting regular olive oil treatments. Have you tried any of these methods for treating dandruff with olive oil? Which ones worked best for you? 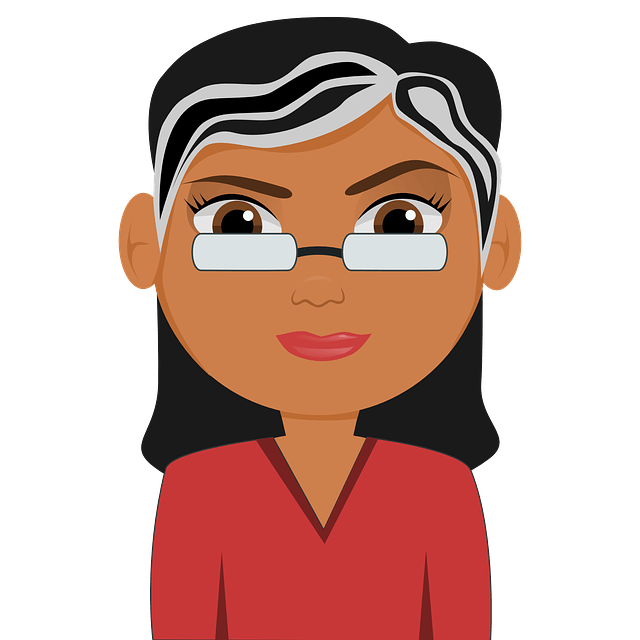 Share your experience with us!